As of 10AM today, September 30 typhoon or Bagyong Quiel was last spotted 640km east of Tuguegarao City and it is expected to make landfall in Cagayan Valley by Saturday according to the latest update (11AM press briefing) from PAGASA. 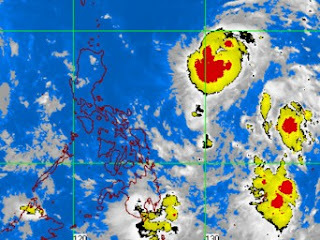 It is moving westward at 22kph with maximum wind of 140kph and gustiness of up to 170kph. Signal No. 2 is up over Cagayan and Isabela while Signal No. 1 at Calayan and Babuyan Group of Islands, Apayao, Kalinga, Mountain Province, Ifugao, Nueva Vizcaya, Pangasinan, Benguet, La Union, Ilocos Norte, Ilocos Sur, and Abra. Quiel is expected to exit the Philippines by Sunday afternoon.